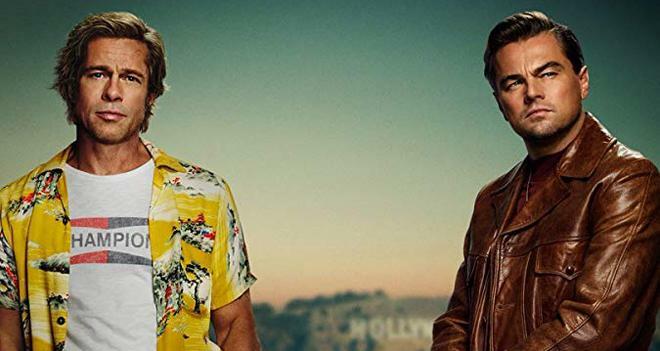 Sony has released the first teaser trailer for Once Upon a Time in Hollywood. The movie stars Margot Robbie, Leonardo DiCaprio, and Brad Pitt. In addition to Brad Pitt, Leonardo DiCaprio, and Margot Robbie, the film also features Luke Perry, Timothy Olyphant, Dakota Fanning, Al Pacino, Tim Roth, Emile Hirsch, Damian Lewis, Damon Herriman, Kurt Russell, Margaret Qualley, Samantha Robinson, Bruce Dern, and James Marsden. Once Upon a Time in Hollywood is set to premiere in theaters on July 26, 2019. The movie comes from Columbia Pictures, Heyday Films, and Bona Film Group. Sony Pictures Releasing will handle distribution. Quentin Tarantino, David Heyman, and Shannon McIntosh are all on board as producers. The film will be the 9th movie from writer/director Quentin Tarantino, following Resevoir Dogs, Pulp Fiction, Jackie Brown, Kill Bill, Death Proof, Inglourious Basterds, Django Unchained, and The Hateful Eight.